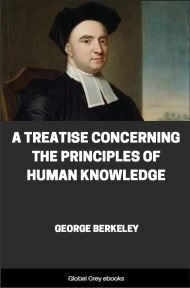 A Treatise Concerning the Principles of Human Knowledge is a 1710 work by Anglo-Irish Empiricist philosopher George Berkeley. 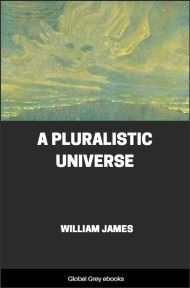 This book largely seeks to refute the claims made by Berkeley's contemporary John Locke about the nature of human perception. 1 It is evident to any one who takes a survey of the objects of human knowledge, that they are either ideas actually imprinted on the senses; or else such as are perceived by attending to the passions and operations of the mind; or lastly, ideas formed by help of memory and imagination- either compounding, dividing, or barely representing those originally perceived in the aforesaid ways. By sight I have the ideas of light and colours, with their several degrees and variations. By touch I perceive hard and soft, heat and cold, motion and resistance, and of all these more and less either as to quantity or degree. Smelling furnishes me with odours; the palate with tastes; and hearing conveys sounds to the mind in all their variety of tone and composition. And as several of these are observed to accompany each other, they come to be marked by one name, and so to be reputed as one thing. Thus, for example a certain colour, taste, smell, figure and consistence having been observed to go together, are accounted one distinct thing, signified by the name apple; other collections of ideas constitute a stone, a tree, a book, and the like sensible things- which as they are pleasing or disagreeable excite the passions of love, hatred, joy, grief, and so forth. 2 But, besides all that endless variety of ideas or objects of knowledge, there is likewise something which knows or perceives them, and exercises divers operations, as willing, imagining, remembering, about them. This perceiving, active being is what I call mind, spirit, soul, or myself. 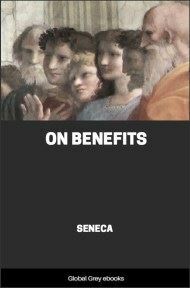 By which words I do not denote any one of my ideas, but a thing entirely distinct from them, wherein, they exist, or, which is the same thing, whereby they are perceived- for the existence of an idea consists in being perceived. 3 That neither our thoughts, nor passions, nor ideas formed by the imagination, exist without the mind, is what everybody will allow. And it seems no less evident that the various sensations or ideas imprinted on the sense, however blended or combined together (that is, whatever objects they compose), cannot exist otherwise than in a mind perceiving them.- I think an intuitive knowledge may be obtained of this by any one that shall attend to what is meant by the term exists, when applied to sensible things. 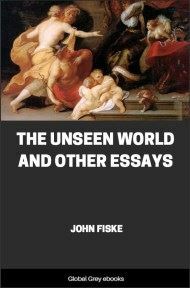 The table I write on I say exists, that is, I see and feel it; and if I were out of my study I should say it existed- meaning thereby that if I was in my study I might perceive it, or that some other spirit actually does perceive it. There was an odour, that is, it was smelt; there was a sound, that is, it was heard; a colour or figure, and it was perceived by sight or touch. This is all that I can understand by these and the like expressions. For as to what is said of the absolute existence of unthinking things without any relation to their being perceived, that seems perfectly unintelligible. Their esse is percepi, nor is it possible they should have any existence out of the minds or thinking things which perceive them. 4 It is indeed an opinion strangely prevailing amongst men, that houses, mountains, rivers, and in a word all sensible objects, have an existence, natural or real, distinct from their being perceived by the understanding. But, with how great an assurance and acquiescence soever this principle may be entertained in the world, yet whoever shall find in his heart to call it in question may, if I mistake not, perceive it to involve a manifest contradiction. For, what are the fore-mentioned objects but the things we perceive by sense? and what do we perceive besides our own ideas or sensations? and is it not plainly repugnant that any one of these, or any combination of them, should exist unperceived? 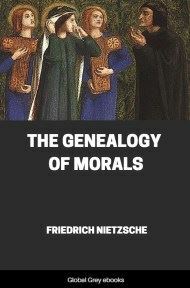 5 If we thoroughly examine this tenet it will, perhaps, be found at bottom to depend on the doctrine of abstract ideas. For can there be a nicer strain of abstraction than to distinguish the existence of sensible objects from their being perceived, so as to conceive them existing unperceived? Light and colours, heat and cold, extension and figures- in a word the things we see and feel- what are they but so many sensations, notions, ideas, or impressions on the sense? 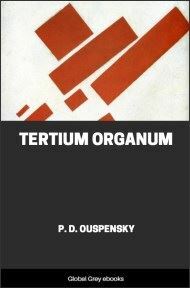 and is it possible to separate, even in thought, any of these from perception? For my part, I might as easily divide a thing from itself. I may, indeed, divide in my thoughts, or conceive apart from each other, those things which, perhaps I never perceived by sense so divided. Thus, I imagine the trunk of a human body without the limbs, or conceive the smell of a rose without thinking on the rose itself. So far, I will not deny, I can abstract- if that may properly be called abstraction which extends only to the conceiving separately such objects as it is possible may really exist or be actually perceived asunder. But my conceiving or imagining power does not extend beyond the possibility of real existence or perception. Hence, as it is impossible for me to see or feel anything without an actual sensation of that thing, so is it impossible for me to conceive in my thoughts any sensible thing or object distinct from the sensation or perception of it. 6 Some truths there are so near and obvious to the mind that a man need only open his eyes to see them. Such I take this important one to be, viz., that all the choir of heaven and furniture of the earth, in a word all those bodies which compose the mighty frame of the world, have not any subsistence without a mind, that their being is to be perceived or known; that consequently so long as they are not actually perceived by me, or do not exist in my mind or that of any other created spirit, they must either have no existence at all, or else subsist in the mind of some Eternal Spirit- it being perfectly unintelligible, and involving all the absurdity of abstraction, to attribute to any single part of them an existence independent of a spirit. To be convinced of which, the reader need only reflect, and try to separate in his own thoughts the being of a sensible thing from its being perceived.